As previously revealed I am an irregular gardener, so it will come as no surprise that while the roses at the back of our house got a prune this autumn, those at the front did not. Yet despite the neglect, they have bloomed, erratically yes, but abundantly. It makes me glad that they are not just dependant on me for their survival. The rain, sun, and the insects have all done their part. After a number of years focusing on learning to be a parent and our little family, I feel like we are slowly rejoining community. I feel like I now have the energy to make and develop new friendships, I feel like those relationships that have been neglected can be picked up again. 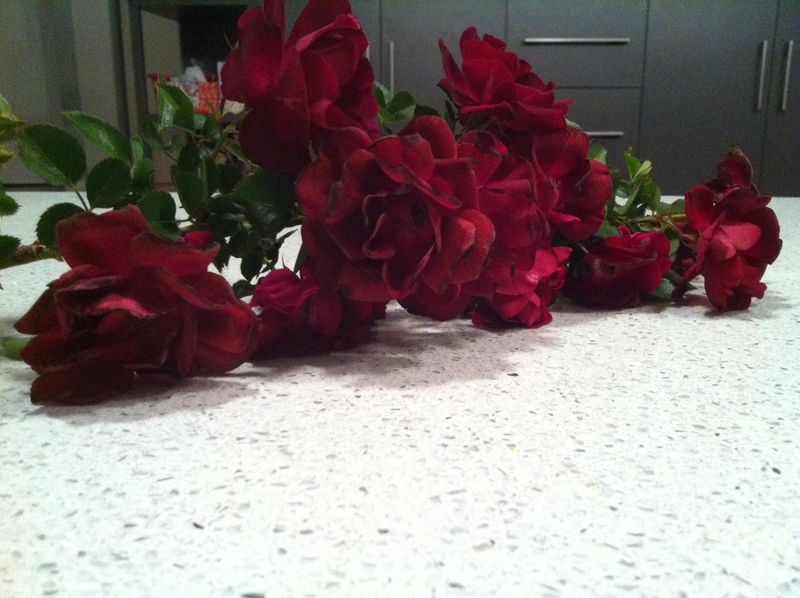 But like my roses I have found that friendships have bloomed despite my neglect. Despite my egocentric focus, these relationships have not depended solely on me, there have been other factors at work. When Mr is away there is the potential to be quite isolated. But I have found instead that community has sprung up and blossomed around me, and for that I am grateful.